This page provides access to the annual reports submitted each year by the Chair of the Technical Services Special Interest Section (TS-SIS) to the American Association of Law Libraries. Annual reports for other TS-SIS entities can be found via the “Reports” page associated with the TS-SIS annual meeting information posted each year. The TS-SIS Executive Board for 2017-2018 was comprised of Lauren Seney, Chair; Wendy Moore, Vice Chair/Chair Elect; Suzanne Graham, Past Chair; Diana Jaque, Secretary/Treasurer; and Carol Collins and Emily Dust Nimsakont, Members-at-Large. The five standing committee chairs were Marijah Sroczynski (Acquisitions), Keiko Okuhara (Cataloging & Classification), Sharon Bradley (Preservation), Ajaye Bloomstone and Trina Holloway (Professional Development), and Pat Roncevich (Serials). In early 2017 the section appointed an Ad Hoc Committee that engaged in a review of its standing committee structure. The results of the report were discussed during the Section’s annual business meeting in Austin. Additional conversations took place during the fall of 2017 and the TS-SIS Board implemented several of the recommendations this spring. Beginning with the 2018-19 year, the section will have two standing committees: Metadata Management (formerly Cataloging and Classification) and Resource Management (formerly Acquisitions, Preservation, and Serials). These two committees will have co-chairs, appointed in alternating years, for a two-year term. The internal structure of working groups within these two standing committees will not change, but the overarching committees will be discussion-based and accept new members throughout the year. The Professional Development Committee will now be an administrative committee because it has a definable work product. This and the other administrative committees (Awards, Bylaws & Handbook, Membership, and Nominating) will solicit volunteers on an annual basis and have a set membership for the year. To support all of this, substantial updates have been made to the TS-SIS Handbook and the TS-SIS brochure. This year TS-SIS awarded one grant: Aaron Retteen, from the Texas A&M Dee J. Kelly Law Library, was the 2018 Marla Schwartz Grant recipient. With many grants receiving no applications, the committee will work in the upcoming year to promote the opportunities more extensively. Richard M. Jost, Director of the Law Librarianship Program at the University of Washington School of Law, was awarded the Renee D. Chapman Memorial Award for Outstanding Contributions in Technical Services Law Librarianship. The work of the three cataloging liaisons continued despite uncertainty in funding for these positions. Through collaboration with other SIS’s, financial support for these positions was made available before ALA midwinter in January. TS-SIS continues to work with the SIS Council to ensure the continued viability of liaison relationships between AALL and these three vital cataloging communities. Two working groups within the Cataloging and Classification Standing Committee, the Descriptive Cataloging Advisory Working Group (DCAG) and the Classification and Subject Cataloging Advisory Working Group (CSCAG), were dissolved. The Metadata Policy and Standard Adversary Group (MPSAG) has been created as a merged group to support the work of the cataloging liaisons for the future. Work has also been done to make the work of the liaisons available to more individuals and a webinar was co-sponsored by TS-SIS and ALL-SIS in early 2018 to provide an opportunity for discussion about the work of the liaisons following the 2018 ALA Midwinter Meeting. Much of the work of the Acquisitions, Preservation, and Serials Committees was focused on the merger into a single committee in the upcoming year. Additionally, the Acquisitions Committee provided feedback and information to the Special Committee to Update the Guide to Fair Business Practices for Legal Publishers and the Procurement Toolkit and Code of Best Practices for Licensing Electronic Resources. The Acquisitions and Serials Committee hosted a joint roundtable during the Annual Meeting. The Professional Development Committee was active throughout the year. E-Forums were hosted in the fall to support the conversation about re-organizing TS-SIS. This committee also assisted in conducting surveys within the standing committees to vote on the new names for the committees. The Webinars sub-committee put on an AALL Liaison Debrief. By all accounts, this debrief was a great success, and provides a model going forward to share the reports of the liaisons with a greater audience while not requiring time at the Annual Meeting. Additionally a recording is available for anyone who was unable to attend. The Annual Program Subcommittee worked with members on three proposals during the program proposal process. Two of these programs were accepted. This committee also solicited ideas for a TS-SIS VIP and a Hot Topic program. Kathy Glennan, chair-elect of the RDA Steering Committee, was invited as the VIP and presented on the RDA Toolkit Restructure and Redesign (3R) Project. There were several new TS events during the Annual Meeting: a Meet & Greet/Auction on Sunday evening, a New Members Roundtable, and a General TS Roundtable. This was made possible by moving the TS-SIS Business Meeting to an online format and reducing the number of meetings for the Cataloging and Classification Committee. The conversations that came out of these new meetings were fruitful and while the New Members Roundtable may move to a different format, the other events were very successful. Updates to the TS Bylaws will be made in the upcoming year to clarify the ability of the SIS to hold an online business meeting. Fundraising for the Marla Schwartz Grant again saw several iterations this year. There was an online giving campaign in the fall and the silent auction leading up to and during the Annual Meeting. Some items for the auction were online only while the others were available for onsite bidding during the TS-SIS Meet and Greet. The auction generated $432 towards the grant. After the success of the “Alphabet Soup Dine-Arounds” last year, CS, OBS, RIPS, and TS continued this event after the opening reception in Baltimore. There was a strong turn-out for the event and more positive feedback, so this event will likely continue in the future. A competitive slate of candidates was compiled by the Nominating Committee and the membership elected Patricia Sayre-McCoy (Vice-Chair/Chair Elect) and Gypsy Moody (Member-at-Large). Reports from individual committees and the Cataloging Liaisons are available here. The TS-SIS Executive Board for 2016-2017 was comprised of Eric Parker, Chair (July 2016-February 2017); Lauren Seney, Vice Chair/Chair Elect & Chair (February -July 2017); Hollie White, Past Chair; Diana Jaque, Secretary/Treasurer; and Wilhelmina Randtke (July 2016-March 2017), Karen Selden (March-July 2017), and Carol Collins, Members-at-Large. The five standing committee chairs were Marijah Sroczynski (Acquisitions), John Hostage (Cataloging & Classification), Sharon Bradley (Preservation), Ajaye Bloomstone and Christina Tarr (Professional Development), and Gilda Chiu (Serials). There were two resignations from the board which resulted in Lauren Seney assuming the role of Chair in February 2017 and a vacancy at Vice Chair for the remainder of the term, and Karen Selden being appointed as a Member-at-Large for the last several months of the term. A Past Chair will need to be appointed for the 2017-2018 year as Lauren Seney will continue to serve as the Chair for the term she was elected. The section appointed an Ad Hoc Committee that engaged in a review of its standing committee structure. The results of the report were discussed during the Section’s annual business meeting. The TS-SIS Professional Development Committee will continue these discussions in the coming months to gain additional feedback from members who were unable to attend the Annual Meeting. A primary goal of this review is to evaluate where and how newer roles for technical services librarians can be met within the structure of the Section. The TS-SIS Executive Board will review feedback and recommendations in the upcoming year. This year the Section awarded multiple grants to its members. Erica Nutzman received the New Member General Grant, Heather A. Buckwalter received the Experienced Member Grant, Elizabeth Outler Received the Active Member Grant, Jesse Lambertson received the Management Institute Grant, and Anne Mellott received the Marla Schwartz Grant. Jean M. Pajerek was awarded the Renee D. Chapman Memorial Award for Outstanding Contributions in Technical Services Law Librarianship. This year the Funding Research Opportunities Grant (FROG) Committee awarded its first grant in more than a decade to Sarah Lin. The work of the three cataloging representatives continued despite uncertainty in funding for these positions. Through collaboration with other SIS’s financial support for these positions was made available before ALA midwinter in January and TS-SIS continues to work with the SIS Council to ensure the continued viability of liaison relationships between AALL and these three vital cataloging communities. The working groups within the Cataloging & Classification Standing Committee continued to support the activities of the Section. The Descriptive Cataloging Advisory Working Group (DCAG) developed several ideas for the revision of RDA and its best practices. The liaison put forth a proposal for single laws that govern more than one jurisdiction that was included in the RDA Toolkit revision in April. The Classification and Subject Cataloging Advisory Working Group (CSCAG) continued to help coordinate the SACO Law Funnel, which assists law libraries proposing new subject headings and genre/form terms to the Library of Congress. CSCAG also continued to develop strategies for matching bibliographic records with each genre/form term through the Genre/Form Retrospective Project. The Preservation Committee continued to share monthly preservation tips and awarded the prize for the 5th Annual “Worst Book.” The Acquisitions and Serials Committee collaborated on a joint roundtable during the Annual Meeting and are looking to host regular online discussions in the upcoming year. The Professional Development Committee was active throughout the year. Two E-forums were offered during the fall and the annual program subcommittee worked to support four programs that were accepted for the annual meeting, including the workshop Not Pie in the Sky: Practical Strategies for Embracing Change in Technical Services and the TS-SIS sponsored program From Authority Control to Identity Management: Managing – Not Controlling. A collaborative effort between TS and OBS also brought in the OBS VIP, Scott Carlson, for a jointly sponsored Hot Topic session on linked data. Fundraising for the Marla Schwartz Grant took on several iterations this year. There was a fall campaign to support donations through the AALL website that raised $500. After a hiatus due to the change in format for the activities area in the exhibit hall, the Marla Schwartz Auction was reinstated this year in a joint online/onsite format that yielded $485.50. The TS-SIS Executive Board voted to raise the award of the Marla Schwartz Grant to cover the cost of registration to the Annual Meeting and CONELL so fundraising efforts for this grant will continue to be evaluated. CS, OBS, RIPS, and TS canceled the Alphabet Soup Reception this year when a sponsor could not be identified. The cross-pollination opportunity between the four SIS’s was still offered through collaborative dine-arounds. This too will be evaluated in the coming year to determine if the dine-arounds were a good alternative to the reception. A competitive slate of candidates was compiled by the Nominating Committee and the membership elected Wendy Moore (Vice-Chair/Chair Elect) and Emily Dust Nimsakont (Member-at-Large). The officers of the Technical Services Special Interest Section (TS-SIS) during 2015-16 were Hollie White, Chair; Eric Paker, Vice Chair; Pat Roncevich, Secretary/Treasurer; and Ashley Moye & Wilhelmina Randtke, Members at Large. This new TS-SIS Professional Development Standing Committee focused on three areas: Annual Meeting program development, Webinars, and E-Forums. Throughout the year, the SIS hosted eforum discussions that collaborated with various TS-SIS Committees. They had two very successful eforums for the New Catalogers Roundtable and the Acquisitions Committee. In February 2016, the AMPC presented the TS webinar “What You Need to Know about 21st Century Cataloging Standards”, moderated by Sarah Morris Lin. TS-SIS was pleased to sponsor a variety of educational opportunities at the 2016 Annual Meeting in Chicago. TS-SIS has many active cataloging subgroups that collaboration with international cataloging standards groups. This year, the Classification and Subject Cataloging Advisory Working Group (CSAG) prepared comments on the Library of Congress’ thought experiment on the use of demonyms. It also commented on the draft LC Genre/Form Terms Manual plus resolved various genre/form issues for law materials. The Descriptive Cataloging Advisory Working Group (DCAG) prepared a revision for the Program in Cooperative Cataloging’s Standing Committee on Standards on LC-PCC Policy Statement for RDA 11.2.2.14.6 to treat the European Union as a governmental body for the purposes of establishing subordinate bodies. 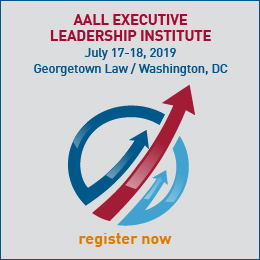 AALL cataloging representative to ALA’s Committee on Cataloging Description and Access (CC:DA), Robert Bratton prepared a revision proposal for RDA concerning individual laws that govern multiple jurisdictions, such as laws that govern multiple colonies of one country. DCAG also prepared a revision proposal for LC-PCC PS for 6.29.1.29 on date of promulgation of a law. The proposal was accepted by the Standing Committee on Standards and appeared in the February 2016 release of the RDA Toolkit. TS-SIS released a best practices website focusing on cataloging/classification and metrics. In addition, the Preservation Committee released a directory of Archivists in Law Libraries. Grants were another area that was expanded this year with TS annually offering 5 different grants. TS-SIS Annual Meeting grants were awarded to Emily Nimsakont, Christina Tarr, and Ashley Moye. Gretchen Croll was awarded the Marla Schwartz Education Grant. Anna Lawless-Collins received the first TS-SIS Leadership Academy grant. TS SIS’s highest award, the 2016 Renee D. Chapman Memorial Award for Outstanding Contributions in Technical Services Law Librarianship was awarded to Ellen McGrath. In addition, the Preservation Committee awarded the 2016 Worst Book Award, a $200 annual award given to a library that shows the need for preservation and conservation work, to the Supreme Court of Ohio. A special Task Force on the Role of Committees, chaired by Miriam Childs, surveyed TS members as to the impact of TS committees and their work within the SIS. The Task Force’s report was sent to the TS Executive Board in July 2016 and results from that report will examined in the upcoming year. The TS-SIS Executive Board 2014-2015 was comprised of Suzanne Graham, Chair; Hollie White, Vice Chair/Chair-elect; Brian Striman, Past Chair; Katherine Marshall, Secretary/Treasurer; and Eric Parker and Ashley Moye, Members-at-Large. The four standing committee chairs were Diana Jaque (Acquisitions), Maxine Wright (Preservation), Lia Contursi (Cataloging and Classification), and Jacob Sayward (Serials). The TS-SIS Executive Board recognizes and thanks the AALL Executive Board for its responsiveness in reinstating support for three representative positions most fundamental to the mission of our SIS. The Section engaged in several major reassessments and revitalizations of our member services this year. In an effort to reduce the overall number of meetings held during Annual Meeting, the Executive Board charged a task force, chaired by Ashley Moye, to evaluate roundtable effectiveness. The task force concluded that roundtables are much-needed vehicles for professional exchange and networking among members. Rather than dissolve them, the Section should revitalize and support them energetically throughout the year in physical and virtual forums. The TS Board appointed motivated chairs to each of our existing roundtables, found informal space during Annual Meeting to host them, and promoted the meetings to members. The Board will evaluate the committees next year. After evaluating practices, the Awards Committee recommended, and the Board approved, simplification of its electronic application processes. It also administered an expanded number of grants for an expanded number of educational opportunities (to include the Leadership Academy and Management Institute). The committee awarded educational grants to Samantha Cabo, Kevin Carey, Ajaye Bloomstone, and Sarah Lin, and it selected Brian Striman as recipient of the 2015 Renee D. Chapman Memorial Award for Outstanding Contributions in Technical Services. The Funding Research Opportunities Grant (FROG) Committee underwent a fundamental rebranding and simplification of its submission process this year with active member support and participation. The Executive Boards of TS and OBS-SIS voted to continue funding for the grant. With global impact on discovery, Cataloging and Classification Committee continues important improvements to existing metadata standards. The Descriptive Cataloging Advisory Working Group, under the leadership of Georgia Prager, tackled disadvantageous description guidance for legal materials (e.g., the uniform title “Laws, etc.,” languages of treaties, and qualifying authorized access points). The Classification and Subject Cataloging Advisory Working Group, led by Yael Mandelstam, promoted the disambiguation of subject and genre/form terms and continues to refine the genre/form vocabulary for legal materials. 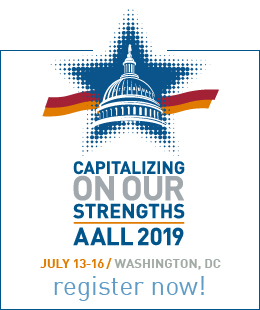 In tighter coordination with the AALL Vendor Liaison, Margaret Maes, the Vendor-Supplied Records Advisory Working Group, led by Angela Jones and Caroline Walters, provided best-practice cataloging guidance to electronic resource vendors. The Acquisitions and Preservation Committees sparked conversations with monthly member tips. The Preservation Committee also solicited and compiled a list of archivists working in law libraries to assist members in networking and finding expertise. From the competitive slate compiled by the Nominating Committee, the membership elected Eric Parker (vice-chair/chair-elect) and Wilhelmina Randtke (Member-at-Large). For the complete text of each committee report for 2014-2015, please see here. The Executive Board was comprised of Brian Striman, Chair; Suzanne Graham, Vice Chair/Chair-Elect; Past Chair, Miriam Childs; Hollie White, Secretary/Treasurer; Eric Parker, and Cindy Spadoni, Members-at-Large. The four standing committee chairs were Trina Holloway (Acquisitions); Lauren Seney, (Preservation); Lia Contursi, (Cataloging and Classification); and, Jacob Sayward (Serials). TS-SIS related workshops, programs, and events at the 2014 Annual Meeting were: One workshop with 43 participants: “Techniques for Electronic Resources Management (TERMS)”; Nine education programs (five were AMPC TS-related programs, one was TS-Sponsored, three were other programs with technical services related topics). One program accepted but later cancelled “Back to the Future: AALL and Law Libraries in the Digital Age.” Three activities tables with info and member-donated silent auction items for Swartz Grant fund. There was the annual TS/OBS/CS/RIPS-SIS joint reception sponsored by Innovative Interfaces, Inc., and coordinated by TS-SIS had nearly 100 attendees. There were five committee meetings (four were standing committees), and six roundtable meetings (several conducted off-site in local restaurants). There were five working or advisory group meetings. The chair attended CONELL marketplace. Aaron Kuperman from the Library of Congress sat at the activities table at various times to answer RDA questions. There were two TS-SIS VIPs who were also presenters at a TS workshop: Graham Stone (University of Huddersfield, England), and Jill Emery (Portland State University Library). Also, the 2014 Renee D. Chapman award for outstanding contributions in Technical Services Librarianship, was given to John Hostage during the Business Meeting. Awards Committee presented the Marla J. Schwartz grant to Michelle Modic. One educational grant was awarded to Sabrina Davis. Award nominee Ning Han had to withdraw due to a personal situation where she couldn’t attend the AALL Annual Meeting. As a result of the review of the SIS budget and task force charged by chair, Brian Striman, more grants have been developed and available for members next year. The Task Force on Vendor-Supplied Bibliographic Records Creation and Distribution Models was created by the TS chair with a charge to investigate and report on the feasibility of alternative methods for cost models concerning cataloging records for vendors’ online products purchased by libraries. Caroline Walters Chair, with six other members (Victoria Coulter, Angela Jones, Alan Keeley, Yael Mandelstam, Jacob Sayward, and Alexa Robertson) completed the report and published it in April. VRAG will take over any action resulting from the report and will coordinate and communicate activities to the TS Executive Board, and an AALL Executive Board liaison. Election results for the incoming 2014-2015 Executive Board are: Suzanne Graham, Chair; Hollie White, Vice Chair/Chair-Elect; Katherine Marshall, Secretary/Treasurer; Ashley Moye 2014-2016 Member-at-Large, and Eric Parker 2013-2015 Member-at-Large. The Serials Committee “Duplicates and Exchanges” program will end in the fall 2014. Members will be notified. The joint publication of OBS and TS-SIS Technical Services Law Librarian continues to publish its excellent quarterly publication, under the direction of editor, Michael Maben. The Executive Board of the Technical Services Special Interest Section (TS-SIS) for 2012-2013 was composed of Miriam Childs, Chair; Ismael Gullon, Past Chair; Hollie White, Secretary/Treasurer; Richard Paone and Cindy Spadoni, Members-at-Large; and four standing committee chairs: Trina Holloway (Acquisitions); George Prager (Cataloging and Classification); Lauren Seney (Preservation); and Wendy Moore (Serials). TS-SIS sponsored a program entitled “Law for the Non-JD” and AMPC approved a pre-conference workshop entitled “RDA Cataloging Cooperative” for the Seattle meeting. Two of the presenters at the workshop, Adam Schiff and Steve Shadle, were TS-SIS VIPs. Sally Wambold is the recipient of the Renee Chapman Award for Outstanding Contributions in Technical Services Law Librarianship for 2013. The Awards Committee awarded the Marla J. Schwartz grant to Antoinette Vanterpool and two educational grants to Diana Menashi and Joseph Reimers. The TS-SIS Executive Board presented a certificate of appreciation to past editor Virginia Bryant for her outstanding leadership of and service to the Technical Services Law Librarian from 2008-2013. Due to changes in the process of submitting programs to AMPC, the composition and charge of the TS Education Committee needed to be updated. In addition, the Executive Board began to approve minutes by email so that the minutes could be posted more quickly to the TS website. The handbook amendments were adopted. The TS-SIS website migration was completed in the spring. The Executive Board updated the TS brochure. TS also started a Twitter account (@AALL_TS-SIS) and created a Facebook page called TSLawChats. The Preservation Standing Committee heightened its profile on the TS website, making available several useful resources, such as the “Preservation Tip of the Month.” With the assistance of the Membership Committee, the Executive Board purchased badge ribbons with different colors for new and established TS Members. The TS silent auction was successful. The new TS brochures, pencils, and post-it notes were made available at the activities table. The section grew by approximately 20 members. The Chair of the Cataloging and Classification Committee spent a few weeks at LC to assist Jolande Goldberg, Senior Cataloging Policy Specialist/Law Classification Specialist, mainly with refining the Class KIA-KIK Indigenous American schedule. The work of the Standing Committee’s subcommittees follows. The Classification and Subject Cataloging Policy Advisory Working Group (CSCP) proposed allowing the subheading “Law and legislation” for crimes. The SACO Law Funnel submitted eight subject heading proposals, with seven approved by LC. Also a proposal was made to revise the genre/form term “Commentaries (Civil law systems)” to “Law commentaries.” The Descriptive Cataloging Policy Advisory Working Group (DCAG) continues to work with John Hostage, AALL’s representative to ALA’s Committee on Cataloging: Description & Access (CC:DA) about revisions and updates to RDA. A major effort involved submitting a revision proposal for the entry of treaties in RDA, which was eventually accepted. The Task Group on Vendor Supplied Records (VBR) continues to work with Serials Solutions in finding out ways to reduce duplication in its database and worked with ProQuest to improve its records in the Legislative Insight database. The next initiative is to help vendors navigate RDA and the provider-neutral record. The 2012/2013 Exchange of Duplicates program had 18 participants in the fall and 14 in the spring. The program raised $360.00. Membership in the program continues to decline every year. Possibly the exchange may happen only once a year or only if a minimum threshold of libraries participate. In the next year TS hopes to improve its communication with all members so that many more feel engaged with the section and with AALL. A task force will be created to study the current methods of communication and suggest improvements.